Raise your hand if you’ve ever been forced to bribe your squirrely kid with a piece of their favorite candy to sit still in the grocery store? You know what I’m talking about. It’s an hour past nap time and little Johnny Jr. is hanging out of the cart, pulling cookies off of the shelf and screaming his head off because he wants the SpongeBob mac-and-cheese shapes instead of the regular, boring noodles. You want to make sales. You want leads to flock your way faster than you can spend money on advertising. But more than that, you want those leads to turn into customers. Few things in business are worse than getting a massive amount of leads that go nowhere. After all, a lead is only valuable if you can turn it into a sale. Leads don’t make money. Sales make money. Can You Reach Your Fans? Organic reach used to be 15-20% for most Facebook Pages. However, the past few years have seen a significant drop. Of course, this is no surprise to any social media marketer who’s paying any attention whatsoever. Let’s be honest, Facebook gives you a lot of data. The only other network that even comes close is Twitter. The amount of information you can get from Facebook on the performance of your posts, audience demographics and campaign tracking is amazing. So you want to start your own company? Congratulations! There are few things more gratifying and empowering than building something from scratch that could change the world and get you closer to your financial dreams. 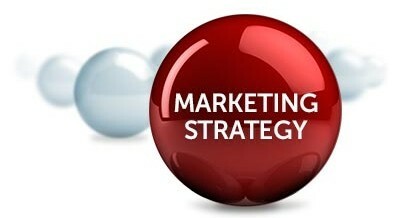 No matter what stage of the game your business is at there’s a perfect marketing strategy out there for you. Brand new or in startup mode? Then you’re going to need traffic in order to start finding some people to sell to. Trying to decide what online marketing strategies are best for your small business can be challenging. But as challenging as it is, it’s still incredibly important. With all of the online marketing strategies, tools, tips, tactics, and advice out there, it’s hard to separate the winners from the losers. Or more importantly, which ones are going to provide the best bang for your marketing buck. Lots of others are publishing great content. The challenge is differentiating your content somehow. And how do you do that? By putting it in front of exactly the right audience. Here are 11 ways to do just that with exactly ZERO dollars. Our first strategy for content promotion happens to be one of our favourites.